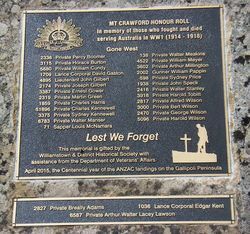 A monument listing the names of those from the district commemorates those who served in World War One. 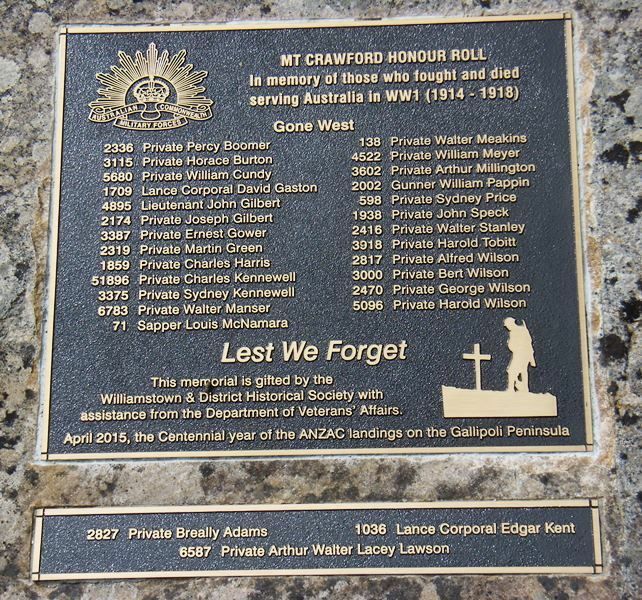 The monument was built with funding received through the ANZAC Centenary Grants Program. This memorial is gifted by the Williamstown & District Historical Society with assistanced from the Department of Veteran`s Affairs.